It will make your view of risk management more complete, by providing a context to assess the organisation's attitude to risk. A while back, I was looking at an organisation and how they managed risk. They considered themselves good at risk management as they were involved in an industry that had lots of risky activities. When I asked them why they were good at risk management, they said "We haven't had a death in about four years." Their view of risk was it revolved around occupational health and safety. Some other questions to their senior executives were quite revealing. Q. Do you do a risk assessment as part of your corporate planning? A. We did a few years back. Q. What happened after the assessment? A. Good question. Not really sure. Must go back and have a look at it. Q. Do you have a policy about staff travel to avoid risk? A. Not really. In fact our 20 senior executives recently flew to a conference on the one aircraft. Q. Do you do a risk assessment on the companies you purchase? A. Why. We know a good deal about them before we buy them. Q. Do you do a risk assessment for all projects? A. The IT people seem to, but it is really up to the Project Manager. I suppose if it is a complex project they might. And so it went. It was not that they were being lax. They didn't really see the benefit of carrying out risk assessment. It was a case of lack of risk maturity. To illustrate the situation to management, I did some extrapolation from CMM - the Capability Maturity Model. I added a Risk Maturity model as below. The decision support process for managing risk is characterised as ad hoc, and occasionally even chaotic. Few processes are defined and success depends on the individual's abilities and experience. Typically only dangerous or potentially dangerous areas are addressed for risk. The focus is to ensure the company meets legislative requirements. Basic management processes are established to document the management of the organisation. The necessary process discipline is in place to repeat earlier successes on similar tasks, based on the previous experience of the organisation. A risk framework is put in place. Ad hoc training provided but no mandatory or monitored attendance. Risk mitigation is identified but not necessarily implemented. The process for standardising, documenting, integrating risk management into the normal decision-making processes of the organisation. Requires standardised business process models to be in place. All decisions use the approved detailed version of the organisation's standard risk management process for decision-making. Process not necessarily fully audited. Mandatory training required across all areas of the company. Process owners drive risk management of their processes. All business processes and the output products or services are quantitatively understood and controlled. There are penalties for non compliance. Audit is a regular, ongoing activity. Cultural change where everyone focuses on risk as a significant part of their job. Risk management is seen by employees and customers as giving the organisation a competitive advantage. All areas of the organisation participate in Enterprise Risk Management (ERM). This includes OH&S, Environmental, Business, Technology, Financial, Legal, Strategic Planning and Audit. IT systems actively support risk management. Organisation seen as a leader in risk management. All decisions within the company - operational and business - do not proceed without a risk review. Risks are examined for implications outside their immediate area. Risk measurement is a KPI for all business units. Matrix approach to risk. All employees required to look both within and outside their area to improve risk management. Business structure and systems designed to support risk management e.g. risk committees, departmental compliance audit roles. There are no boundaries for risk. The organisation treats every activity as one where risk is an integral part, and must be managed. Business Continuity and Disaster Recovery Planning is in place and regularly tested. Process and technology change is subject to risk management. The first layer of risk is the Corporate Maturity. If you are working in a project, you need to ask yourself what the level of risk maturity the company has achieved. A lower level will indicate that risk is not taken seriously. A cavalier attitude to projects is likely to exist, and the organisation will likely ignore a strongly disciplined approach to project risk management. You have a hard selling job on your hands. When you first look at a project, it might be a straight forward project with little chance of failure, or a highly risky project with a high potential for failure. This is the second layer. You can develop a model to rate the project regardless of the type. The following assessment is for an IT project but most of it could apply to any project. This assessment which we developed for a client some years ago, determines if the project is small, medium, high or very high in terms of risk. Extensive. Has been done somewhere before. Very innovative. Not been done before. If a project is high or very high in terms of riskiness, there are going to be lots more risks to manage. 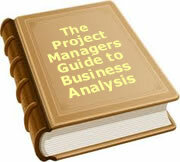 A Project Manager will need to devote much more of his or her time to avoiding pitfalls. In an immature organisation, this is a recipe for disaster. The organisation does not want to know about risk, and will not be as supportive as a more mature organisation. The Project Manager will be under pressure to just get on with the job, and not waste time mitigating risks. The end is almost inevitable. A risk will come to fruition and who will be blamed? As I said, there are lots of articles on how to do a project risk assessment. The point of this article is to understand the environment in which you are working. Often the crunch comes between pragmatism and professionalism. I don't have a magic solution. I have compromised my professionalism in the past, and I have walked away from projects in the past. It is up to each person, in each situation to make that call. The point of this article is to make people realise that project risks happen in a context. You as a Project Manager have very little control over the environment. You need to understand the environment and make a decision as to whether you want to operate within that environment. If nothing else, I hope this white paper on risk has raised some questions that you may not have asked yourself in the past. To date, 13 people have rated this article. The average rating is 4.54 - Add your rating. Just select a rating and click the button. No other information required.